Joe Daly, a Senior Partner at Gallup, a leading global analytics and advisory organization, begins our quarterly newsletter explains why Prindex's landmark expansion to cover 140 countries matters. WASHINGTON, D.C. -- When people feel secure about their land and property rights, it gives them the freedom to think about -- and invest in -- their future. This is why secure land and property rights are the essential building blocks of economic development and social justice. The problem is, many people around the world can't prove that they have rights to their property, and until recently, there was no way to find out how secure the world's 7 billion citizens think these rights are. Seeking to address the lack of global and comparative data on perceptions about property rights, the Overseas Development Institute, Global Land Alliance, Omidyar Network and the U.K. Department for International Development have been working with Gallup since 2016 to develop a robust way to measure perceptions of tenure security around the world. Gallup conducted extensive pilot and experimental tests to support the Prindex team in creating and refining an instrument and methodology in 2016 and 2017. In 2018, Prindex was rolled out to 33 markets globally. 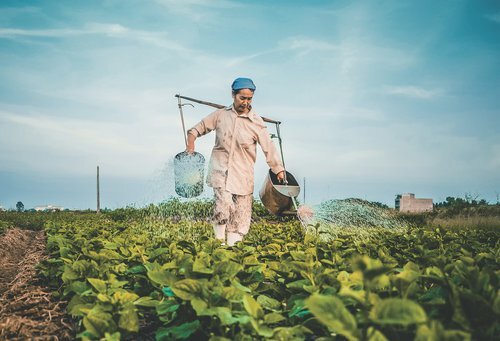 Results from the initial 15 markets were released earlier this year, showing that one in four adults in those countries felt insecure about their land tenure. The study also uncovered groundbreaking evidence on the unique challenges women face in securing their land and property rights. In 2019, Prindex is expanding its measurement efforts into more than 100 countries, marking the most significant build-out of its efforts to date. The core Prindex questions will be added to the World Poll, Gallup's nationally representative surveys conducted across the globe. Adding Prindex to the World Poll will not only increase the number of countries it can reach, but it will also allow comparisons across countries; trends over time; and understanding of differences by gender, age and income level. Researchers will be able to enrich their analysis of perceptions of land and property rights with access to additional key indicators such as wellbeing and employment. This development marks a major step forward for efforts to put this issue front and center for the global development community, and to provide global policymakers with key outcome metrics for the societies they seek to improve.